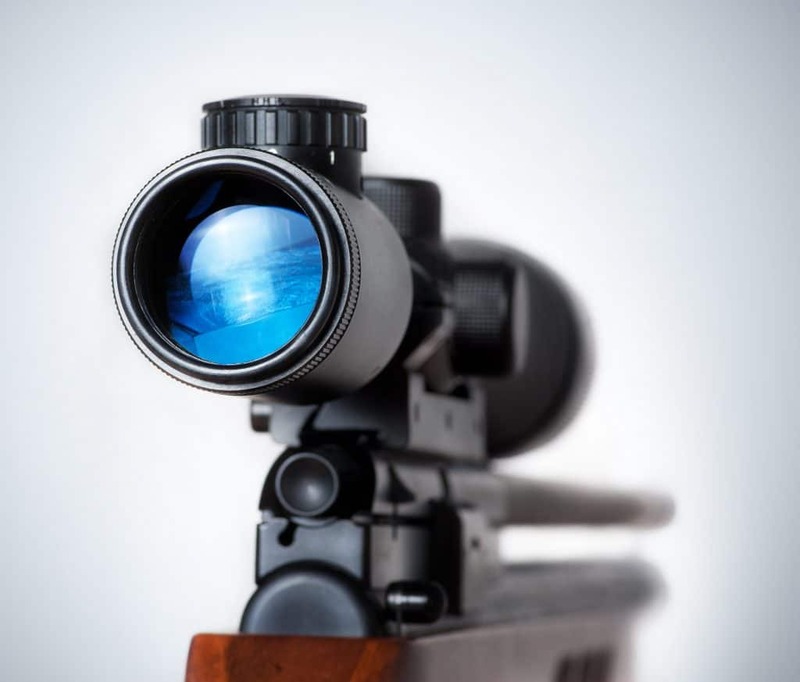 Editor's Picks for the Best Rifle Scopes for the .308 in 2019! Winchester introduced the .308 Winchester in 1952. 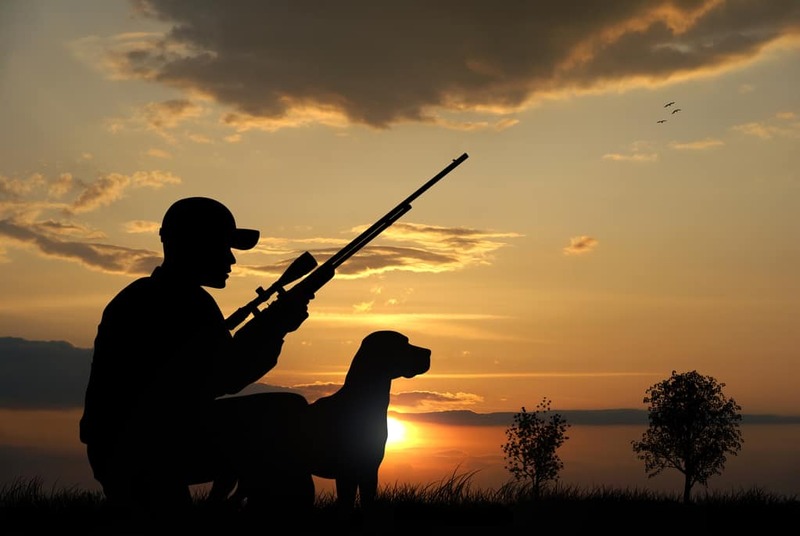 Since then it has grown into one of the most popular hunting cartridges around the globe. With some minor changes it even morphed into the 7.62 NATO which are close. Today the .308 can be found in many modern hunting rifles. 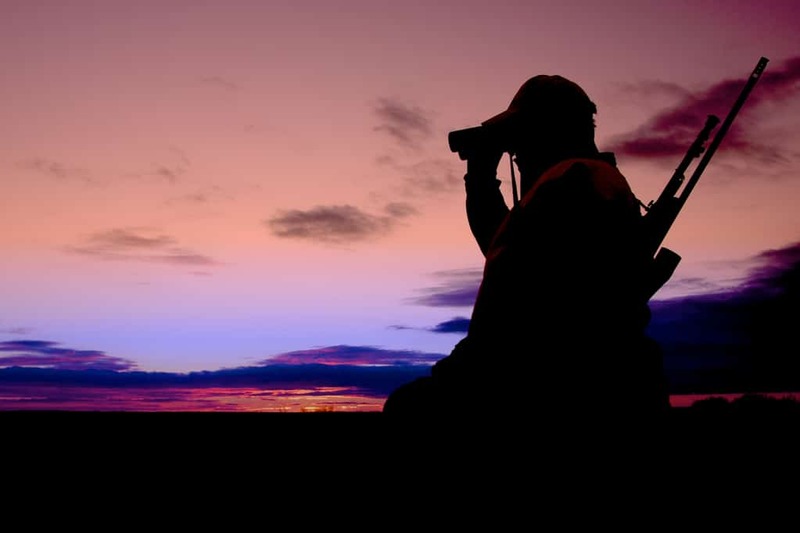 It is a popular choice for hunters that require high quality optics. We’re having a closer look at the best scopes for the .308 that you can find. 1.3 What Magnification is Required? 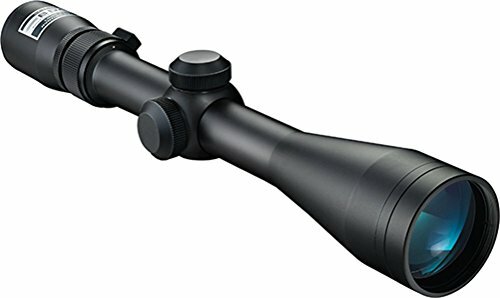 4.1 What is the best rifle scope under $500? 4.2 What scope do I need for 300 yards? 4.3 What is the best long-range rifle scope? 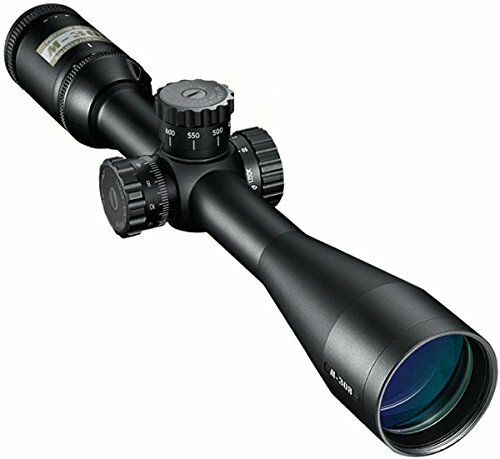 4.4 What is the best rifle scope for 1000 yards? Before looking at these hunting optics, let’s have a closer look at the rifles. The .308 specifies the diameter of the bullet. This certainly means that a rifle shooting a bullet with this diameter must have a matching bore. The confusing part is that the .308 rifle designation means to use a specific cartridge. There are other types of ammunition that use a .308 diameter but where the cartridge is different. An example is the .30-30 Winchester Model 94. The bullet diameter is .308 inches in diameter but it’s not a .308 rifle. The cartridge for the .30-30 is different and is specifically geared for long-range shots. You might wonder why this is important to point out. The reason is that the scope you’re looking at needs to match the rifle and the type of shooting performed with it. The .308 is useful for short, medium and long-distance shooting. This means you would want a scope that works for those situations. One other thing to remember is that the .308 is often used for tactical shootings. That’s why some top-notch scopes for this cartridge are also known as sniper scopes. This in one way means you couldn’t use such a scope for hunting for big game. 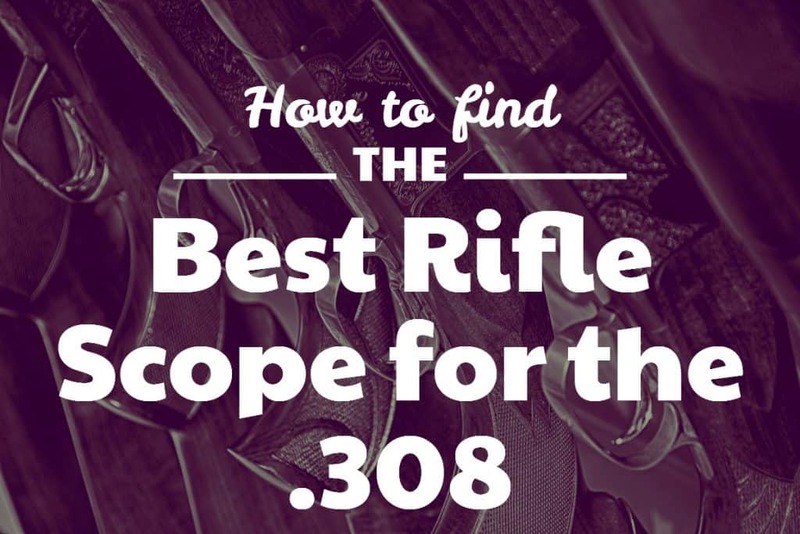 If you are in a hurry… Here’s the list of the best rifle scopes for the .308. Click on the link to find the current pricing and customer reviews on Amazon! 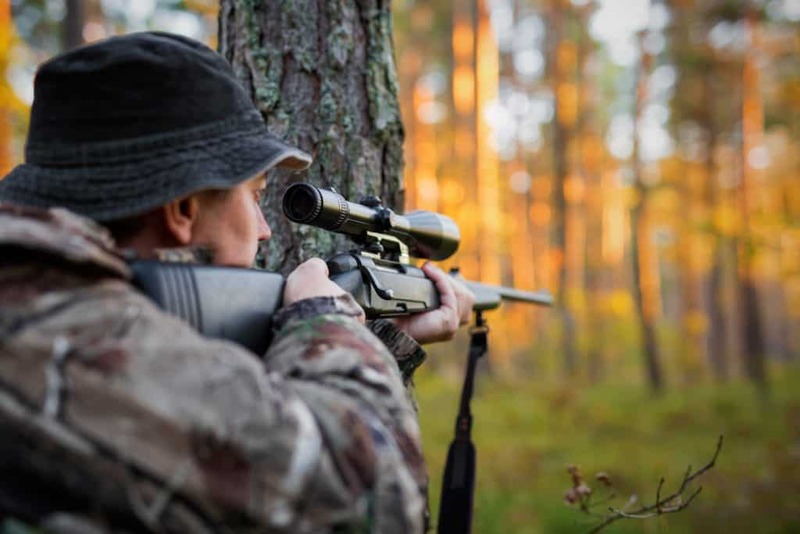 With the .308 being often used for long distance hunting and shooting you need to take a few aspects into consideration when you’re trying to buy the best scope for your rifle. These are namely that the scope needs to match the distance you’re shooting, it has to be durable and sturdy, easy to use and shouldn’t break the bank. Each of these aspects is explained in more detail in the following section. The .308 rifle is designed for long range hunting and shooting. Therefore, a scope for such a rifle has to give you a clear image of the target up to longer distances. Realistically, you want it to be capable to allowing you to consistently shoot at a target that’s 500 yards out. In theory, you can take pretty much any scope with a magnification and be able to focus on a target up to a couple of hundred yards. However, for the .308 you definitely need a scope that gives you a clear image with a lot of light at longer distances. If you never intend to shoot long distances then by all means get a cheaper scope with fewer capabilities for long range targeting. There are numerous scopes for medium and short ranges available that fit well with the .308. Consider though that eventually you’ll be in a position where you want to make a shot out to 500 yards or even more. If your scope doesn’t support that, then you have limited yourself! The .308 shoots accurately up to a couple of hundred yards without a problem. That is if you don’t use any scope and/or specific rifles to shoot farther. 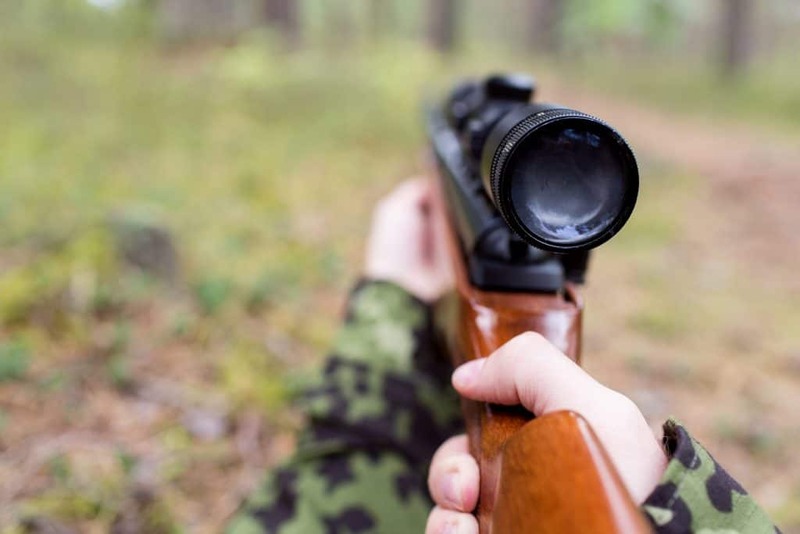 Using a good long-range scope and enough practice in addition to a rifle that is for this purpose, you can get up to 800 yards or even farther. This will depend on what distance you want to shoot. If we talk long-range above 350 yards then consider using something that’s at least 4x for larger targets as an absolute minimum. Smaller targets might require much higher magnifications. Realistically, you want to look at a 10x magnification at least. Medium ranges between around 150 and 350 yards accordingly 2x or 3x as the minimum. As many times the targets are smaller you realistically would look at 6x to 9x for medium distances. For close range shots below 150 yards you can consider to use no magnification. However, realistically you want a scope that can provide you with up to 6x power for small targets. You most likely won’t keep your .308 in your gun cabinet but will use it for hunting or shooting regularly. Your scope will need to stand up to this use in different environments. To reliably use your scope in different weather and environmental conditions you want to look for a high-quality scope that is machined from high-grade aluminum and sealed. Nearly all modern scopes will check this box. In addition, they will fill the tube with gas to make it fog resistant. This also helps to protect the scope from the inside. A .308 can have a quite hard recoil. At that moment the scope has to withstand a lot of force. Most higher quality scopes are shock resistant and will withstand the recoil. In addition, you have to have sufficient eye relief or you risk getting scope bite. Because of the heavy recoil you also need a scope that holds zero well. Lower quality scopes that don’t hold zero well could end up needing constant readjustment. This will slow down your target acquisition and accuracy. A well-built scope with a large magnification to support long-range shots will come with a few downsides. These scopes typically are not compact and not on the light side. You need to consider that when you try to find a scope for your rifle. Most scopes today are reasonably easy to use. While you might need to get used to some peculiarities of a scope and how to adjust the settings, it is pretty clear where to find the knobs and turrets and adjustments. Yet, these are not the only things to consider when you think of usability of a scope. The most important thing when looking at usability is that the scope functions when you need it. 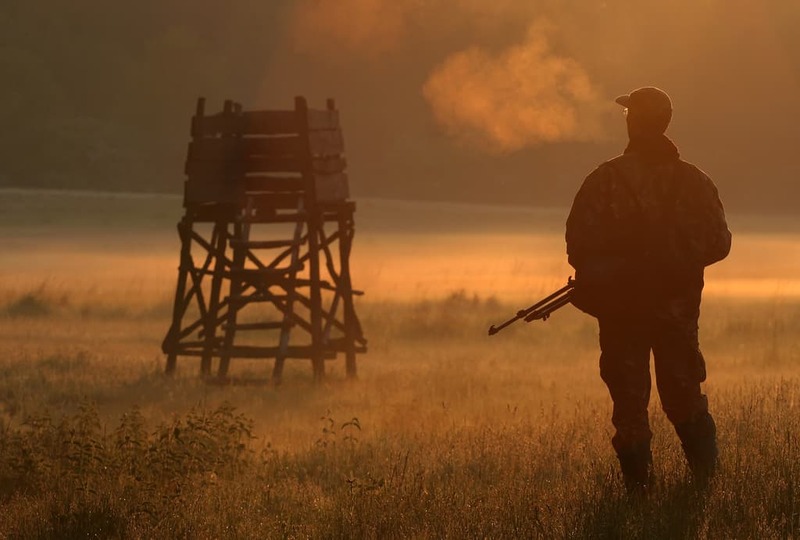 If you constantly need to readjust or fight with your lenses being fogged up, then there’s no way you’ll enjoy your hunt or shooting practice. The strong recoil puts stress on the scope. That also means that a lower-quality scope most likely will shift zero and won’t stay sighted. This will cause continuous readjustment after only a few shots and will more often than not mean you will miss a target on long distance shots. A good scope will hold zero through many shots. You’ll be able to rely on the scope and as a result you will not miss a target when you take a shot. In the cases that zero shifts and you need to adjust you need a scope that has clearly marked dials that are easy to use. Last but not least, you need a scope that uses high-quality glass that is clear and projects a clear and distortion-free image. The reticle needs to be easy to understand so you can compensate for the bullet drop without having to perform major math before each shot. Another factor that plays into the usability area is the diameter of the objective and of the tube. The larger both components are in diameter the more light can be transmitted. A larger tube diameter allows you a wider adjustment range for windage and elevation which comes in handy when you are performing long distance shots in varying conditions. Long distance shots require the maximum of light to get into the scope. The more light you get in the clearer the image gets even if the surrounding light is less than optimal. Another important factor of a larger lens diameter is that you have a larger field of view. This helps with acquiring your target and keeping your target in sight when using a higher magnification. The cost of a good scope for your .308 varies greatly. More expensive scopes typically are built sturdier and with better material. The material choice has a tremendous impact for the glass of the lenses. The higher quality the glass is the better and more vibrant the image gets. This is tremendously important for long range hunting. If you intend to shoot short to mid-range distances, then the cost of the scopes usually comes down. For tactical uses the cost is often rather low as you rarely get variable magnification. At that moment the diameters of the objective and tube can be on the smaller side which reduces the cost. A solid scope for medium to longer distances will have a maximum magnification of at least 9x but higher can be beneficial. 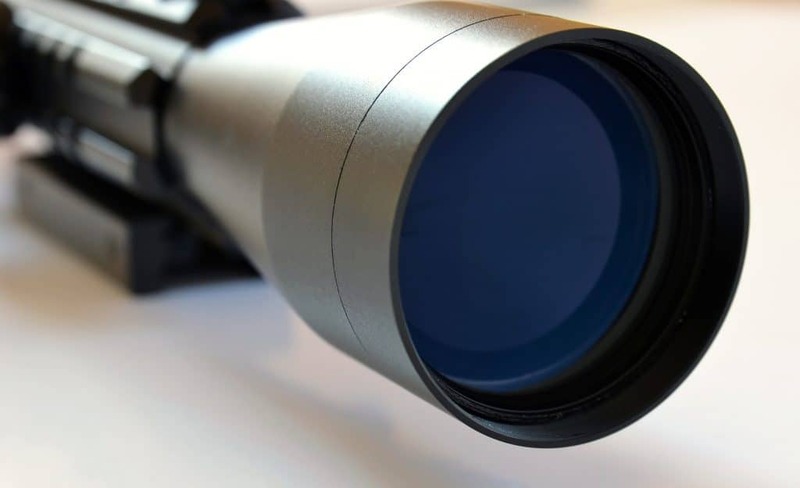 If you’re hunting, then you often can’t tell your game to stay away far enough to use a large magnification. You eventually will end up with some game nearby and that also should be considered for the lower end magnification levels. Thus, a scope with a magnification range from 3x up is probably reasonable to use. If you’re using your .308 for target shooting with known distances then the scope to pick will depend on the distances you want to shoot. You want to be comfortably capable to clearly see the target in your distance range in the scope. If your scope’s maximum magnification is not sufficient, you won’t get a good sight on the target. The same if the target is too close and your minimum magnification settings are too high. All these considerations impact the price of the scope. For most hunters a 3-9x, 3-12x or a 4-12x or 4-16x will be good choices. For true long range you might consider upgrading to a 6-18x or 6-24x scope. Depending on this the price will increase. As a rule of thumb, the higher the magnification (and overall quality) the higher the price will be. The list below is our pick for the best scopes for the .308 for various shooting and hunting needs. The Vortex Diamondback is a great scope for your .308. 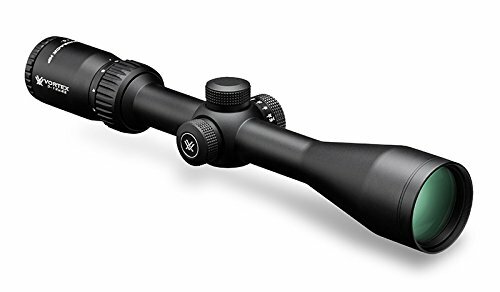 In our opinion it’s the overall best scope you can get as it combines excellent optics for a reasonable price. The Diamondback HP series is the high performance version in the line of Vortex scopes. 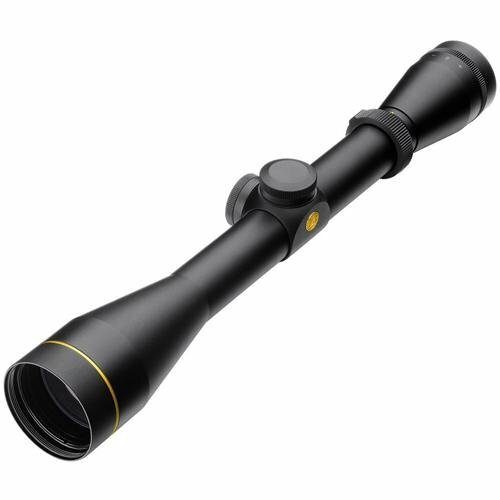 It combines outstanding mechanical and optical features into a sturdy scope that can stand the abuse of heavy recoil and the beating taken when you take your rifle on hunting trips. This specific scope comes with a one inch tube with a 3-12x magnification. This allows for both close distance to long distance shots. The objective lens is a generous 42mm in diameter which helps to get a clear and vibrant image at higher magnifications. The reticle is on the second focal plane. The glass on this scope is multi coated. It provides brilliant clarity across the whole magnification spectrum. The scope is built to be fog, water and shockproof. It has no problems handling the recoil of a .308 and holding zero across many shots. The scope has a 4” eye relief which is plenty to deal with the .308. The field of view (FoV) is between 28.8 (3x) – 8.2 (12x) feet at 100 yards. This is in line with other scopes in that magnification range. The turrets are capped to prevent accidental changes. Windage and elevation can be adjusted in ¼ MOA steps for a maximum of 90 MOA each! This provides enough adjustment range even for long distance shots. The side focus is easily accessible for best image focus and parallax removal between 30 yards to infinity. Another great feature of the Vortex rifle scopes is that they come with their unlimited warranty. This scope comes at a great price for what you get and you can’t really go wrong. If you are more into longer distances, then use the 4-16x42mm version instead. Undoubtedly, Leupold knows how to make good hunting optics. The VX-2 3-9x40mm is not an exception to this rule. It comes with super-clear glass lenses that allow to use it even in low-light conditions. Therefore, it’s a great pick for hunting where you encounter less than perfect lighting more often than not. The scope produces a vivid and clear image that helps tremendously with acquiring a clear shot onto your target. In Leupold fashion you also get multi-coated lenses that reduce glare and keep the glass clear under all circumstances. Windage and elevation can easily be adjusted with a single finger while you keep your game in focus. Adjustments are ¼ MOA per click. The overall adjustment range is 52 MOA for both elevation and windage. The eye relief on this scope ranges from 3.7 to 4.2 inches depending on the magnification settings. The field of view ranges from 34.6 feet @ 100 yards at a 3x magnification to 14.6 feet @ 100 yards at a 9x magnification level. The Nikon Buckmasters II series is an overall affordable, reliable and capable family of rifle scopes designed for hunting. The 3-9x50mm is specifically interesting as it provides the most common magnification range and combines it with a rather large objective of 50mm. This provides the scope with outstanding low-light visibility as the large objective allows a lot of light into the scope. 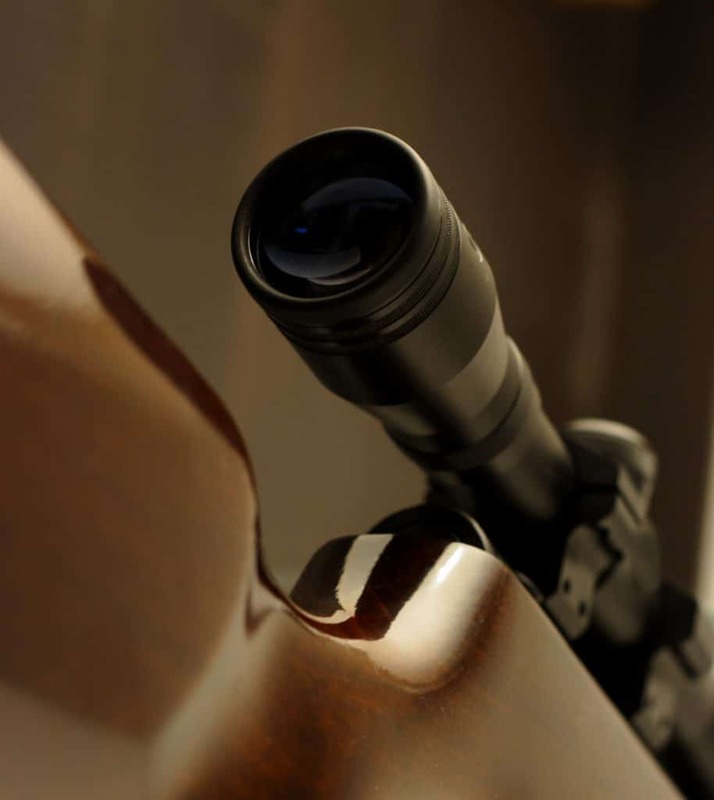 The scope is built solid and with high-quality components and pairs well with .308 rifles. It handles the recoil well and stays zeroed without a problem. The glass in this scope is multi coated and provides an excellent image. The eye relief is a generous 5 inches making it a great pairing for rifles with a heavy recoil. It therefore is truly a great match for the .308. 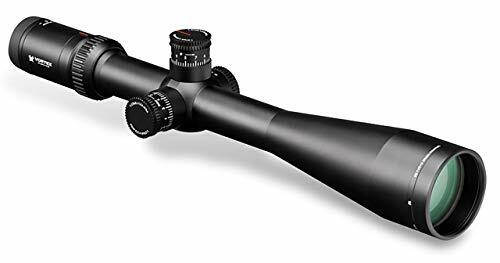 It offers a solid field of view of 35.6 feet at 100 yards at a 3x magnification and a 11.7 feet FOV at 100 yards when using a 9x magnification. The turrets allow for easy adjustment of windage and elevation in ¼ MOA steps. The overall adjustment range is a great 80 MOA for each elevation and windage. The scope sports a 1 inch tube that is built from highest grade aluminum to withstand any abuse during a hunt. It’s waterproof and fog proof and has a light transmission of up to 92%. Bushnell is known for high quality scopes that pack solid components and innovation. And the Bushnell 6500 2.5-16x50mm makes no difference. The magnification designation alone shows that you are looking at an interesting scope here. 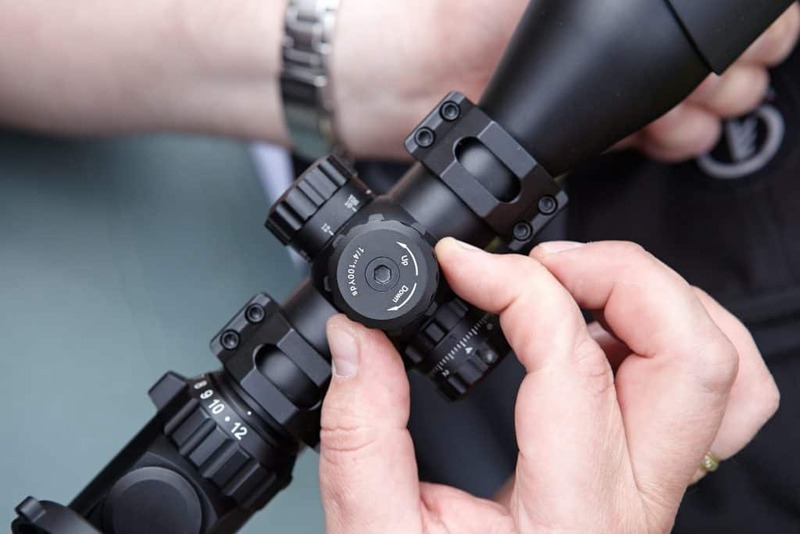 You won’t find many other scopes with a magnification range like this. The scope is built solid and has no problems to deal with the recoil of a .308. It features a 30 mm tube which allows for lots of light to get through the scope. The optics are multi coated which helps with the vibrancy of the image. The tube is argon purged to prevent fog from building up. The scope is overall fog proof, waterproof and shockproof. The turrets are zero reset and are easy to adjust. The scope holds zero well even with heavy recoil and is a good choice for the .308. The dials allow to adjust in ¼ MOA steps. The overall windage and elevation adjustment range is 78 MOA. Eye relief on this scope is 3.9 inches. While that’s not bad, it could be slightly higher for a rifle with heavy recoil. The field of view is 42 feet at 100 yards with a 2.5x magnification. At the highest magnification of 16x you have a 7 feet FOV at 100 yards. The scope offers a mil-dot reticle which makes it the perfect choice for tactical use. The magnification range allows for use for longer distance shooting. You won’t need or even prefer variable magnification for your .308. For many shooting situations you won’t need a variable magnification range. You have less moving parts and an overall sturdier scope. 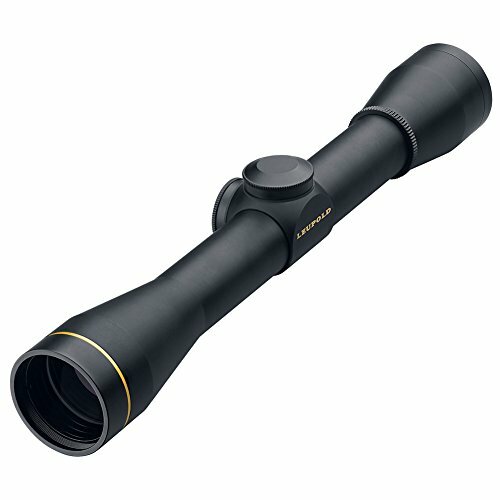 The Leupold FX-II 4×33 provides a fixed 4x magnification. The objective size is 33mm which sounds less than scopes with variable magnification but as the magnification is fixed, this diameter is sufficient. The main tube is made from aluminum and has a one inch diameter. The tube is nitrogen filled to prevent fogging. It has a duplex reticle which makes it easy to line up shots. It works sufficiently well in low light settings. The scope is built sturdy and holds zero well. The turrets are low profile and you can adjust elevation and windage within 80 MOA. The dials adjust in ¼ MOA steps and are easy to adjust. The scope is waterproof and shockproof and built to withstand the abuse in the field. It’s designed to for tactical and hunting environments. The Nikon M-308 is a great scope for shooters and hunters needing a long-range optic. The best feature though is that you get a high-quality scope that is specifically designed for the .308. There are no compromises you need to take when you get this scope for your .308. Nikon is known for high-quality glass and overall scope construction. The M-308 is no exception to this. The tube sports a 1” diameter and is made from aluminum. The glass is multi-coated and allows up to 95% light transmission. The magnification range is more than enough for medium to long range shooting. The objective lens is large enough to allow a lot of light to get into the scope. They equip the Nikon M-308 with a quick focus eyepiece that enables you to quickly acquire your target. The .308 has a bit of recoil and the scope could need a little more for the eye relief. It ranges from 3.7 to 4 inches and it would not hurt to have a little more. The field of view at 100 yards is 6.3 – 25.2 feet depending on the magnification settings. The adjustment range for windage and elevation is 40 MOA. This can end up being a little on the low side when you’re performing a real long distance shot as you might run out of adjustment range. The scope is water, shock and fog proof as you would expect from a Nikon scope. Reviews found online from hunters and shooters that use this scope are overwhelmingly positive. The Vortex Optics Viper HS-T 6-24x50mm provides top-notch optics at a reasonable price point. Being a Vortex scope you can rely on it being rock-solidly built. Vortex backs their scopes with one of the best warranties you can find. The Viper HS-T lineup is designed to be a multi-purpose scope for all hunting (H), Shooting (S) and Tactical (T) uses. Here the 6-24x50mm version provides excellent magnification for long-distance shooting. The tube measures a solid 30mm in diameter and is made from a single piece of highest-grade aluminum. In combination with the 50 mm objective lens you will get a lot of light onto your lens to get a clear and vibrant image of your target. Vortex uses extra-low dispersion glass for the lenses to guarantee the most light to come through. The lenses are multi-coated to reduce glare and reflection. The reticle sits on the second focal plane. You can get the scope with the VMR-1 reticle in either MOA or MRAD measurements. This is a great scope for long-distance shooting. The picture clarity even at the highest magnification makes it easy to acquire a target and make a shot. 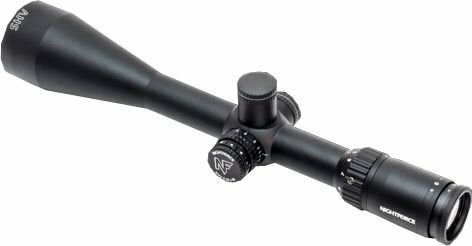 NightForce scopes are overall some of the best scopes you can find on the planet. Many shooters and professionals swear by them. Even Chris Kyle was known to use NightForce scopes for many of his shots. They build their scopes specifically for situations that put a lot of demand on the quality of the optics. The Nightforce SHV 5-20x56mm is a great long-range optic. The very large objective lens provides superior light penetration into the tube and makes it our pick for the best low-light scope for the .308. You get a scope with ultra-clear glass and multi-layered coatings. There’s basically no better image you can get from any other scope on the market. Magnification starts at a 5x level and goes up to 20x making it a scope that’s designed for long-distance targeting. This is not a cheap scope, but it’s worth every penny. However, it’s not the best fit for commonly available hunting rifles that are based on the .308 platform. It only makes sense to get this scope if you are going for long-range shots with a specific rifle that supports those shots. There’s no clear winner in this comparison. Each of the scopes shown has its strengths and some weaknesses. The Nikon M-308 might overall be one of the best scopes as it has a wide range of scenarios in which it can be used on a .308. However, Nikon only lists this scope in the ‘Archived’ section which means it’s not built anymore. You can still find it online and at retailers though. 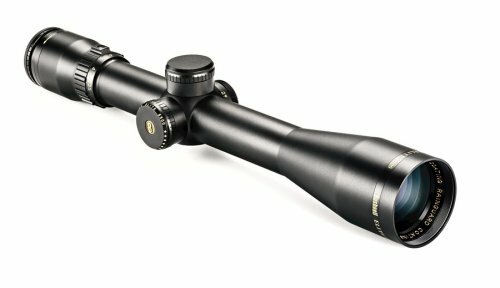 The best overall scope is the Vortex Diamondback HP 3-12×42. It offers the best compromise between capabilities and price. Otherwise, if you need more specialized scopes, then match the ones from our list up with your shooting needs and pick the one that is the closest match for your needs. Overall, you can’t go wrong with any of the scopes as they are all built well and are good matches for your .308! Similar to this list and conclusion, there’s also not a single best rifle scope under 500 Dollars. We compiled a list with different scopes in that price range. Many shooters and hunters use the rule that you need 1x magnification per 100 yards. That would result in a 3x magnification at 300 yards. However, that is only somewhat true for larger targets and prey. 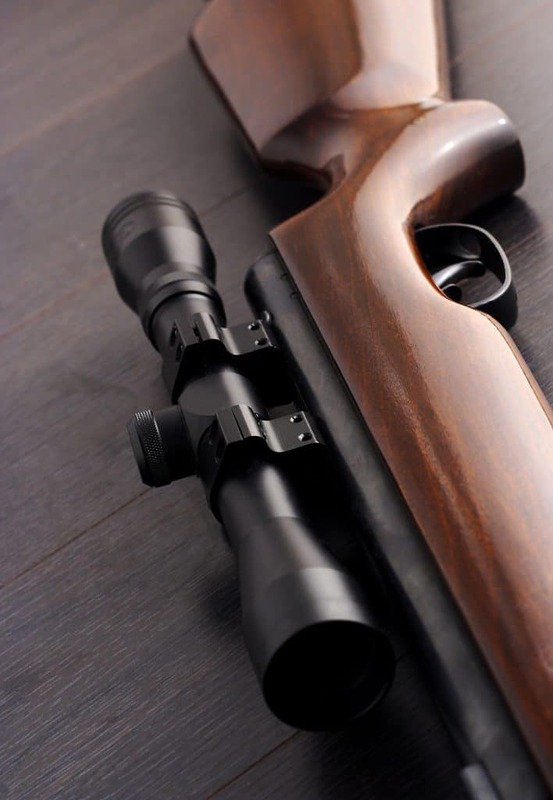 If you shoot something smaller, then you will enjoy having a higher magnification at that distance. In that case a 6x or even higher magnification will be quite helpful. What is the best long-range rifle scope? What is the best rifle scope for 1000 yards? 1,000 yards is definitely considered a long-distance shot. You need some good magnification for such a distance and those scopes end up costing you a bit more. For the 2019 Edition of our list of the top rifle scopes or the .308 we added two outstanding scopes to the list. First, the NightForce SHV 5-20x56mm as it has outstanding long-distance low-light capabilities with its huge objective lens. Second, we added the Vortex Optics Viper HS-T 6-24x50mm which made it into this list as the best long-distance scope for the Winchester .308. The range up to 24x allows for true long-range shots even for small targets.